The effects of missing teeth can be detrimental to your long term oral and medical health. Replacing missing teeth can dramatically improve your smile and the shape of your face. Dental implants caused a revolutionary change in teeth replacement. They behave exactly like natural roots – even bonding naturally with the jawbone. You can smile, eat, speak, and behave completely normally. Implants are a well-established, tried-and-tested treatment. Over 95 per cent of modern implants should last for many years with the right care. A dental implant is a titanium metal rod which is placed into the jawbone. It is used to support one or more false teeth. In practice, both the false teeth and their supporting rod are known as ‘implants’. Today, more and more people are choosing dental implants as an alternative. Implants are available in a complete range of dimensions, diameters, lengths etc. Dental Implant has no restriction of the age. It is an ultimate discovery in the field of modern surgery. A dental implant is a metal device designed to replace missing teeth. These implants are made from titanium, a material that is well tolerated by bone and integrates easily with bone tissue. Dental implants are natural-looking replacements for missing teeth that also provide the same function as your natural tooth root. Dental implants are an ideal option for people in good general oral health who have lost a tooth or teeth due to periodontal disease, an injury, or some other reason. Dental Implants are considered the ultimate solution for tooth replacement; they are the first choice to replace the missing teeth. Who is a good candidate for Dental Implant Surgery in India? Daily brushing and flossing are essential. Regular visits to the dentist for follow-up. Who is not a good candidate for Dental Implant Surgery? What are the various Types of Dental Implants? Root Form Implant: When you lose a tooth in an area that has a wide, deep bone, choose root form implant is the best choice. The most common and the most popular form of dental implants in implant dentistry is the root implant designed for the typical jaw structure. Root Form Implant are also known as Endosteal Implants. In this form of implant, a titanium screw is fixed into the jaw bone, and a crown is attached to the abutment. These implants are said to be very strong and durable in nature. Subperiosteal Implant: Sometimes there is not enough bone to use either of these implants. In this case, the dentist will use subperiosteal implants. In this particular case, a periodontist will utilize metal in order to keep the implant in place. 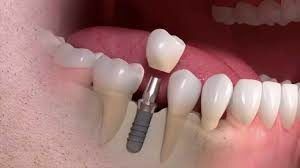 These dental implants are usually positioned on top of the teeth bone and rooted in the gums, but it cannot be rooted in the jawbone like with the other forms of dental implants. The dentists apply a local anesthesia, and prepare a mold of the jawbone and mouth. From this impression, the dental lab constructs the implants in order to custom fit the person’s jaw. All the types of dental implants are complex and difficult to perform and hence, it is always better to approach a skilled and experienced dental surgeon for this purpose.The cost of these various implants will depend on the severity of the surgery that will be required. What are the various Types of Dental Implant Materials used? Dental implants are constructed from a range of materials. The various materials used for dental implants are as under. Zirconium implants are one of the newest forms of implants and are promoted for their aesthetic qualities, biocompatibility and mechanical structure. Today’s dental implants are less likely to be pure titanium since the discovery that a titanium alloy works just as well as pure titanium. Some specialists like to use zirconium which is also known as Zircon (a ceramic material) as well to create dental implants and restorative components (abutments etc.). Is It Painful To Have New Dental Implants? Dental implant surgery is performed under local anesthesia hence there is less or no pain during the procedure. But there can be pain after the effect of anesthesia wears off. Some people may experience more pain while some may experience less pain after the procedure. Usually there is not much pain or discomfort associated with this procedure. There are rare occasions where the people may feel discomfort for a few days. Swelling and infection are rarely possible. What is the Procedure for Dental Implant Surgery? The first stage is the dental implant surgery, where the titanium implants (also called ‘posts’) are placed in the jaw bone. The second stage is the implant restoration. In this, accurate measurement is taken and a crown is built on top of the dental implant. Both procedures are very common, and not too complicated. The duration of the whole dental implant procedure varies from patient to patient and depends, among other things, on the patient's physical condition and anatomy. Dental implant success is related to operator skill, quality and quantity of the bone available at the site, and the patient's oral hygiene. After your Dental Implant Surgery, the surgeon will give you instructions on Oral Hygiene, prescription for pain medication and antibiotics and follow-up appointment to check on the healing process. What are the Success Rates of Dental Implant Surgery in India? Dental implant surgery in India is among the most successful procedures in dentistry. There is no guarantee that an implant procedure will be successful, but studies have shown a five-year success rate of 95 percent for lower jaw implants and 90 percent for upper jaw implants. What are the Advantages of Dental Implant Surgery in India? What are the Disadvantages of Dental Implant Surgery? What are the Post Surgery Precautions? Do not rinse your mouth vigorously during the first 24 hours after the operation. Use ice packs over the surgical area for 20 minutes at a time, during the first 2 days after the operation. Maintain a liquid diet for the first 5 days after the operation. Do not smoke or consume alcoholic beverages during the first week. Use an elevates head rest or an extra pillow for the first 2 nights after the operation. Rinse your mouth thoroughly with a salt water rinse or prescribed mouth rinse after every meal. Do not use prosthesis until it has been relined. Follow the directions carefully for any prescribed medications. If you have any questions or any problems related to the healing of your operation, do contact your surgeon. Dental implant recovery depends on a number of factors, including the various procedures required to complete your treatment. Healing from the surgical procedure to place the dental implant(s) takes up to six months, while the fitting and seating of the crown(s) can take up to two months. Again, this timeframe depends on individual cases and treatments. The major success of the implant depends on how your jawbone grows around your implants(osseointegration). 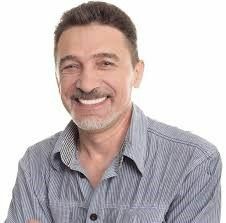 The vast majority of patients are extremely happy with their dental implants and experience a significant improvement in their quality of life. To achieve long-term success with your dental implants, proper brushing, flushing, rinsing and routine dental check-ups are essential. Your surgeon will discuss your follow-up care in more detail after your dental implant procedure. What are the various Alternatives to Dental Implant Surgery? Implants are often used to replace missing teeth. However, dental implants are not for everyone. Other methods and choices are available for patients who do not find implants as the optimal plan of treatment. Partial Dentures: When only a few teeth are missing, a partial denture is advised for the patient. Partial dentures, or as dentists affectionately describe them, "flippers," are less expensive than dental implants and an effective way to solve dental problems caused by loss of teeth. Partial dentures are completely removable. Depending on the type, they are made of metal and pink plastic or acrylic. Partial dentures should be checked every six months or so, as even small problems with teeth can develop into major issues if they go on for too long. Bridges: A bridge, also known as a fixed partial denture, is a dental restoration used to replace a missing tooth by joining permanently to adjacent teeth or dental implants. There are several types of bridges, but, unlike an implant, they all use the neighboring teeth as anchors. The materials used for the bridges include gold, porcelain fused to metal, or in the correct situation porcelain alone. Whether you are looking for a temporary or permanent tooth loss solution, dental bridges offer many benefits can be placed to improve the appearance and function of your teeth. Full Dentures: Dentures are looked upon in Dentistry as replacement teeth. Patients receive complete or full dentures when they have all their teeth removed. For patients who have gone without teeth for a while, full dentures can make a dramatic difference in the way they look. These dentures will fill out the mouth area, relieving that caved-in appearance. Full dentures can also improve your speaking ability and make it easier to chew. There are different types of full dentures to consider for your dental problems. Delaying Treatment: Delaying a decision is always an alternative, although it's often not the best one. But you may decide to wait while you consider your options. Having your dental implant surgery in India could be one of the best choices for your dental treatment in the world. In Dental Tourism India, dental implant surgery is one of the most common procedures done to visiting foreign patients. The dental clinics here in India are more affordable than any other western European countries, such as the UK or Ireland. Investing in a dental package tour will provide you with all the comforts and health options you need to get the most satisfying and safest dental implant procedure. Medical tourism offers Dental Implant surgery in India at an affordable price. Millions come every year to get treated and then enjoy their recuperative holidays across India. I never realized that a missing tooth can impact ones appearance so much until I lost an upper tooth in the front in a fun fight with my nephew. It started looking really weird and everywhere I went, I used to get pin pointed for it. It became really embarrassing and so I decided to go for a dental implant surgery. I was searching for the doctors who have experience in dental implant surgery and would not cost much too and I found that at the Indian Health Guru. I will recommend the doctors to anybody who is suffering from any dental ailment. Implantation is always an expensive procedure that involves a variety of treatments and associated costs. The cost of dental implants depends on many factors, including the type of implantation, the dentist performing the procedure, the location where it is performed and the material used. India offers low cost dental impalnt surgery that to without compromising the quality of the procedure or treatment. Due to low currency exchange rate many international patients prefer India as the best medical tourist destination amd along with the dental implant surgery they get special tourist packages to visit different tourist places like Goa and Kerala at low cost.